The National Leader of the All Progressives Congress (APC), Asiwaju Bola Ahmed Tinubu, has insisted that he is not plotting to replace Yemi Osinbajo as vice-president. 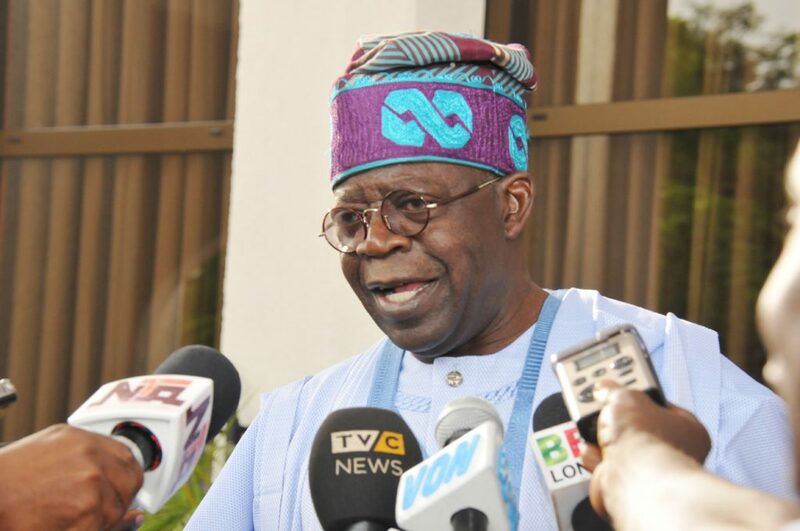 Tinubu stated this in response to a report, that he may be picked as President Muhammadu Buhari’s running mate in 2019. “The attention of the Asiwaju Bola Ahmed Tinubu Media Office has been drawn to the front page lead story of The SUN newspaper of yesterday, December 13, 2017, which sensationally and ridiculously reported that President Muhammadu Buhari may pick Asiwaju Tinubu as his running mate for the 2019 election. This is a classic case of utterly and irredeemably fake news. Tinubu described the report as an attempt to distract the current administration from its “yeoman’s job” and instigate crisis in the APC. “This is clearly an attempt to distract the APC federal government from the yeoman’s job it has been doing in rescuing the country from the deep-rooted socio-economic, political, security and moral mess inherited from the PDP’s 16 years misrule of Nigeria, instigate crisis within the party, stoke dangerous embers of religious disaffection within the party and the country generally and stem the remarkable progress being made in the reinvention and revitalization of Nigeria. “The Buhari and Osinbajo-led Federal Government is deftly steering the country out of an economic recession that was the result of the ineptness of the PDP years of the locusts. Asiwaju Tinubu will never support any attempt to distract Buhari and Osinbajo from the job they are passionately doing through the kind of false report. In particular, this story does great injustice to Vice President Osinbajo. Here is a man of the highest integrity, moral rectitude, amazing humility, high intellect and unimpeachable credibility. Here is a man of fierce loyalty and absolute trustworthiness who will never do anything in word, thought or deed to undermine his boss. His unquestionable dependability and indisputable fidelity to his oath of office was demonstrated beyond question by his honourable conduct during the President’s medical vacation,” the statement added.